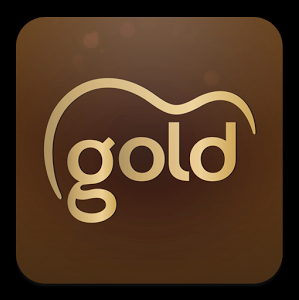 Oldie station Gold is being removed from most of its AM and DAB digital radio outlets at the stroke of midnight into the 24th March 2014, according to an announcement by the station. Gold will continue from this date on DAB digital radio in the East Midlands and London only and on existing AM (MW) frequencies in London, Manchester plus Nottingham and Derby. It will also continue on its current slots on Sky (0121), Freesat (722) and Virgin (959), as well as online. In other areas where Gold is available on DAB and/or AM, the newly revamped Smooth Radio will be taking over the slots, enabling listeners outside of Smooth's FM coverage area to continue listening, as nationwide coverage on DAB will be ending. Smooth will reinstate regional programming outside of London on FM as part of the changes. Smooth Radio's national DAB slot is scheduled to be replaced by an as yet undisclosed station playing music from the 70s, 80s and early 90s. Gold continues as a largely presenter-less station with back-to-back oldies outside of Breakfast. Gold's demise from AM and DAB in many parts of the UK was first indicated earlier in February, when owners Global Radio announced that it had struck a deal with Ireland's Communicorp to offload some of its stations in a franchise agreement, in order to satisfy concerns by the Competition Commission following the acquisition of Real and Smooth Radio by Global. Related to this, Real Radio will become part of the Heart network of stations, meaning that Global will operate four national radio brands on FM once all the changes are complete: Heart, Smooth, Capital and Classic FM, plus additional stations on DAB including Capital Xtra. Gold was created following the merger of Capital Gold and Classic Gold in 2007. Classic Gold in turn was created following the takeover of numerous independent local radio stations across Central, Eastern and southern England in the 1990s, when Classic Gold replaced stations including Gem AM, Amber and Marcher Gold. As you say, it has limited availability. Xfm and Chill aren't national brands. Global does operate other stations on FM, but as Jake points out, they are not national. Although technically, none of the commercial stations mentioned have the coverage of BBC National Radio. I just wish to God these changes for change sake with commercial radio would stop and for a few years we'd have the same name, frequency etc stay where it was so we , the listeners , not ofcom not shareholders, could simply listen get used to and perhaps even like the station. When one reads of the history of Australian, Canadian and US stations we realise just what a lousy deal UK listeners get.